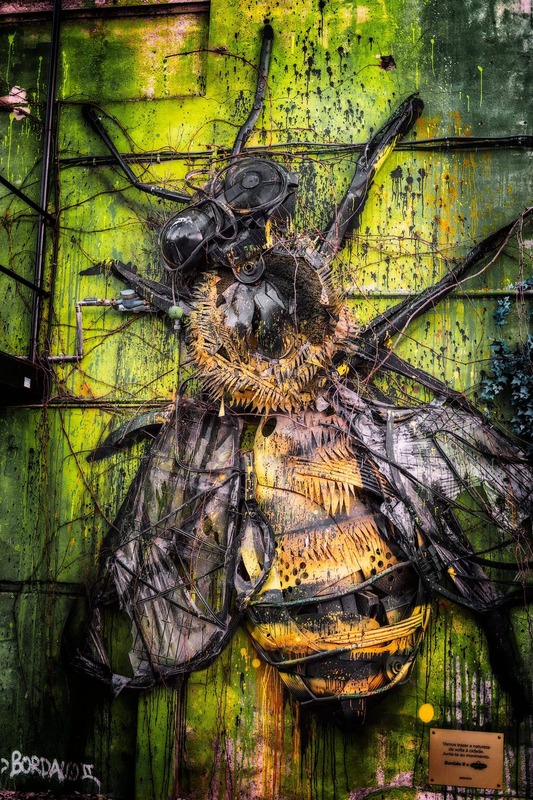 This bee by Bordalo II is not difficult to find. There are more of these sculptures with various other animals in Lisbon and some are more challenging to find. If you’re a street art lover, I can only recommend that you wander around Lisbon to find more of these beauties. LX Factory is like a separated small city in Lisbon. It is an old industrial part of the capital which was transformed during the late 90’s to a modern art site. 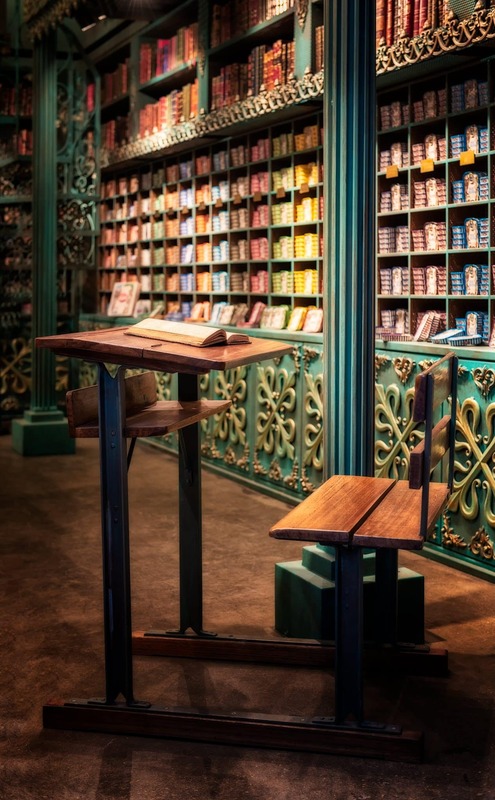 In our day, it has become a paradise for street photographers and store owners who do not like the traditional concepts of commerce and restaurants with a typical style. 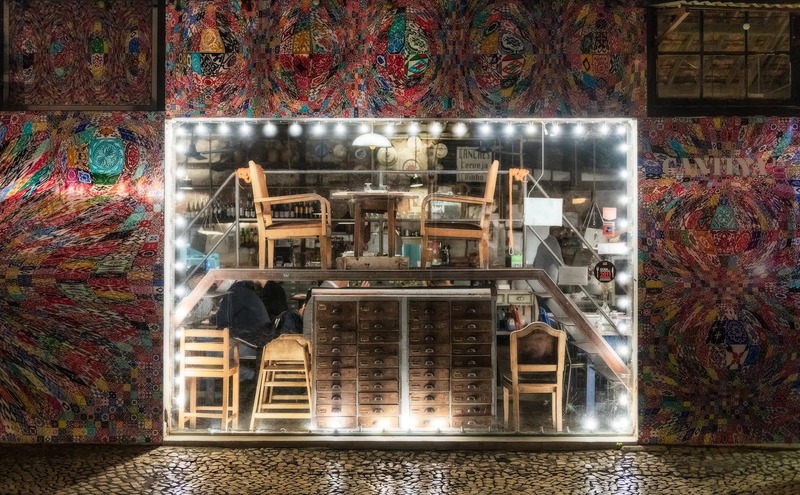 We found this sardine shop while visiting LX Factory in Lisbon – a city in itself. In 1896, in this part of Lisbon (Alcântara), there was a fabric factory and many other stores that also moved to this industrial site. Unfortunately, these companies did not survive the decay of the golden industrial age and soon the complex of the building was deserted. This photo was literally taken from our kitchen window. 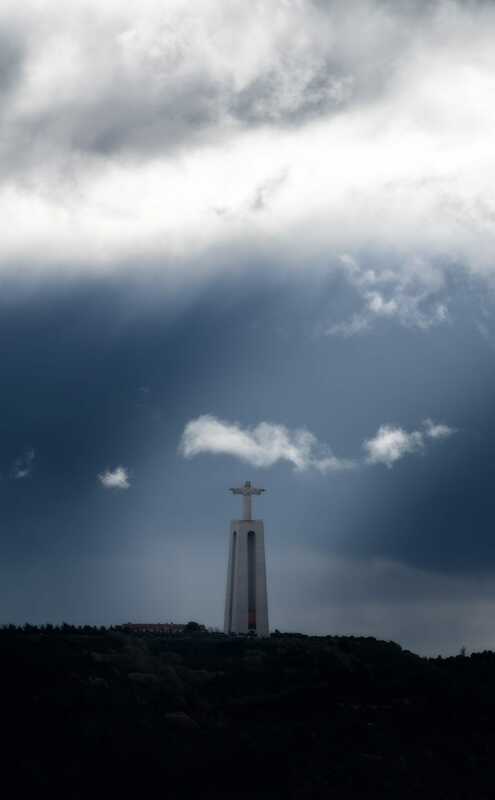 We were staying in one of the Airbnb’s in Bairo Alto, which gave us a clear view of the Tagus River, 25 Abril Bridge and the Statue of Christ the King located on the opposite shores and Almada. 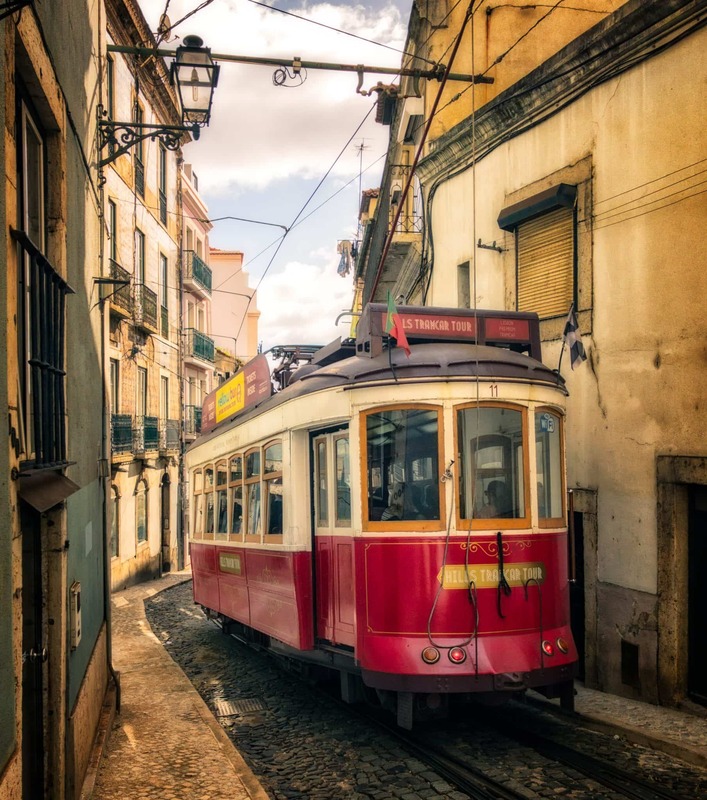 Who hasn’t seen any photos of a Lisbon Tram passing through the narrow streets of Alfama? I think it’s one of the popular icons in the capital of Portugal, much like the bikes are for Amsterdam.